This Mario Coins Christmas Jumper is available in a range of sizes (from Small to XL) and features a retro 8 Bit Mario themed Christmas print. This blue long sleeved jumper is machine washable. 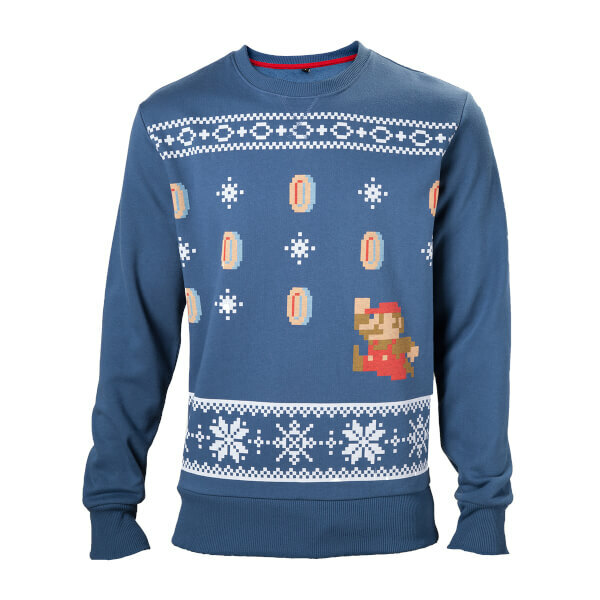 Celebrate this festive season in your Mario Coins Christmas Jumper. I was slightly surprised that the XL was more akin to an L size. 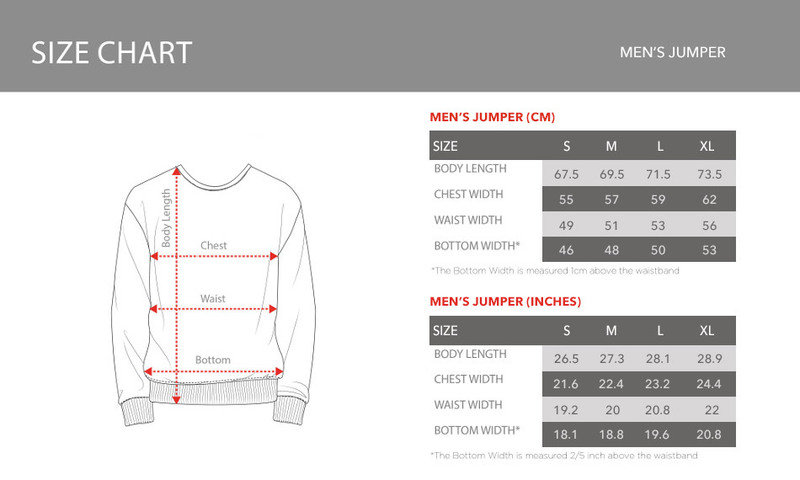 Described and labeled as XL - definitely not! Purchased as a gift for an adult male, given instead to their 12-year old son. The design is just printed on, not woven, but you only see that close-up.